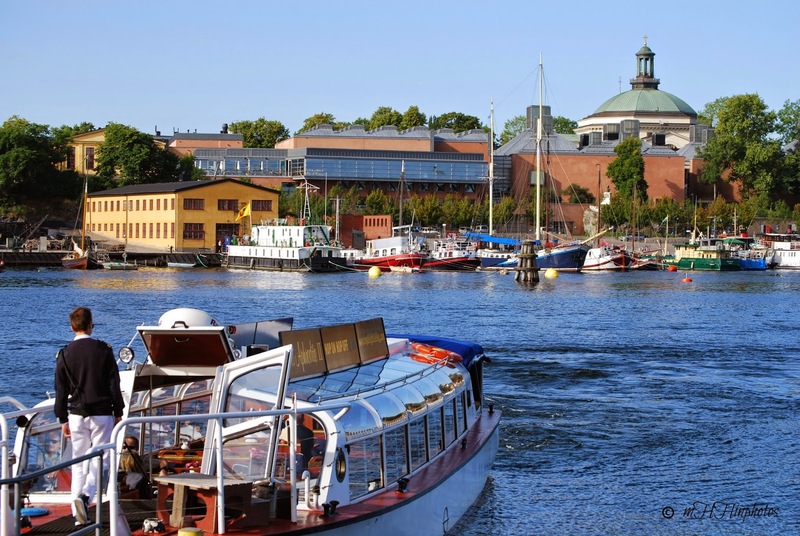 From the Stockholm port, where our cruise stopped for the day, we took a short water taxi ride to the site of our first tour in Sweden. We booked the tour on the ship. Look at that beautiful blue water and beautiful day! Here is the sign that greats you when you get off the water taxi. 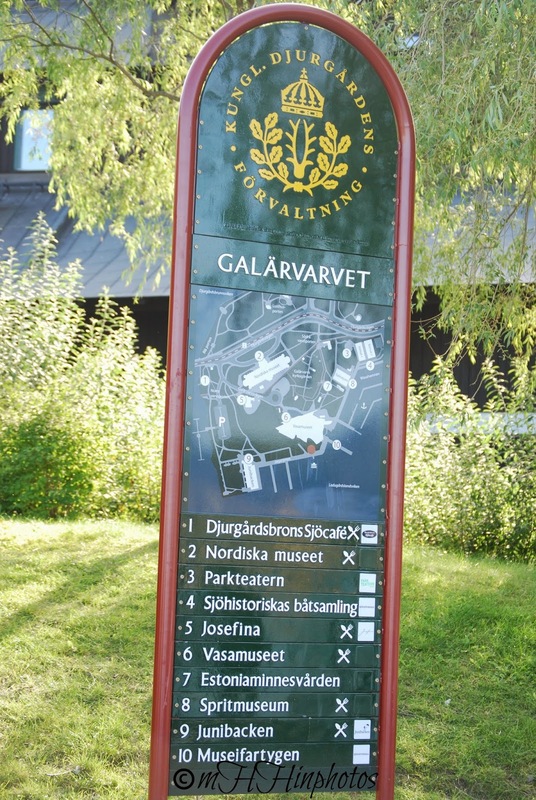 Number 6 is where we are going, to the Vasa Museum. The tour was recommended to us before we ever left home. 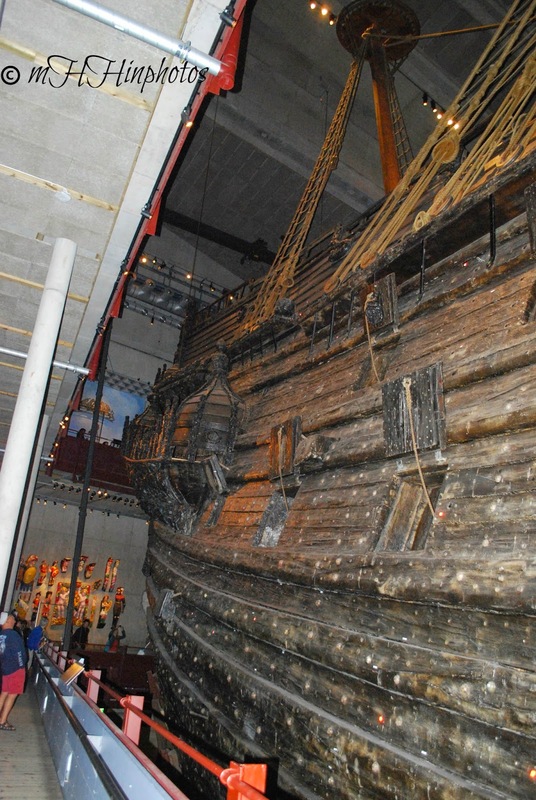 The museum houses the Vasa, a Swedish war ship built in 1626-1628. It sunk on it's maiden voyage. When you see the ship one can understand why it sunk! 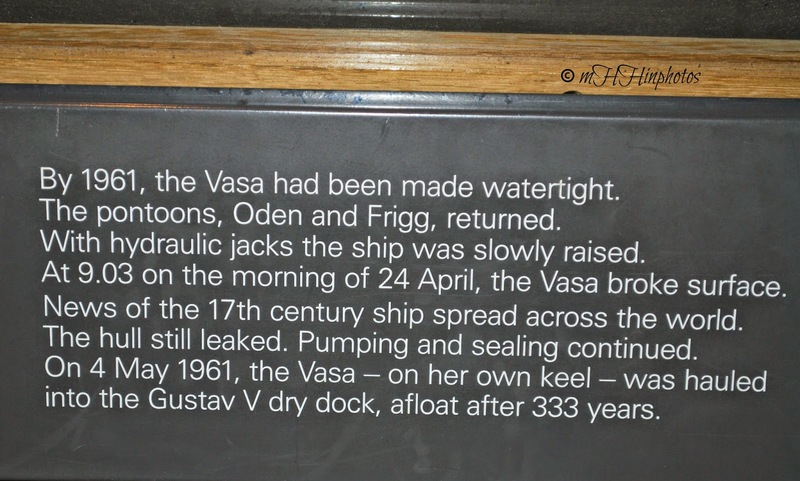 This sign shares what they did with the Vasa a few hundred years after it sunk. 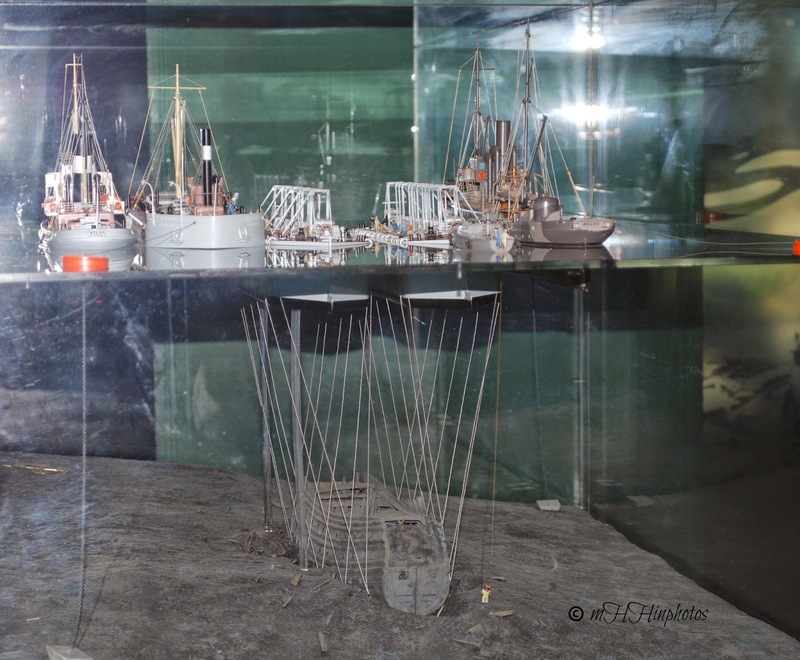 This is a model of the project, raising the Vasa. Here is the ship! It really is amazing! Actually, you are only seeing a part of the front end of the ship. You can not see it completely on top, nor on the bottom. My husband was very intrigued, he is right in front, the dude with the hat. A view of the other side where the wood doesn't look as dark. Again, you are only seeing the upper level of the ship. This was the best I could do getting a photo of the majority of the ship. 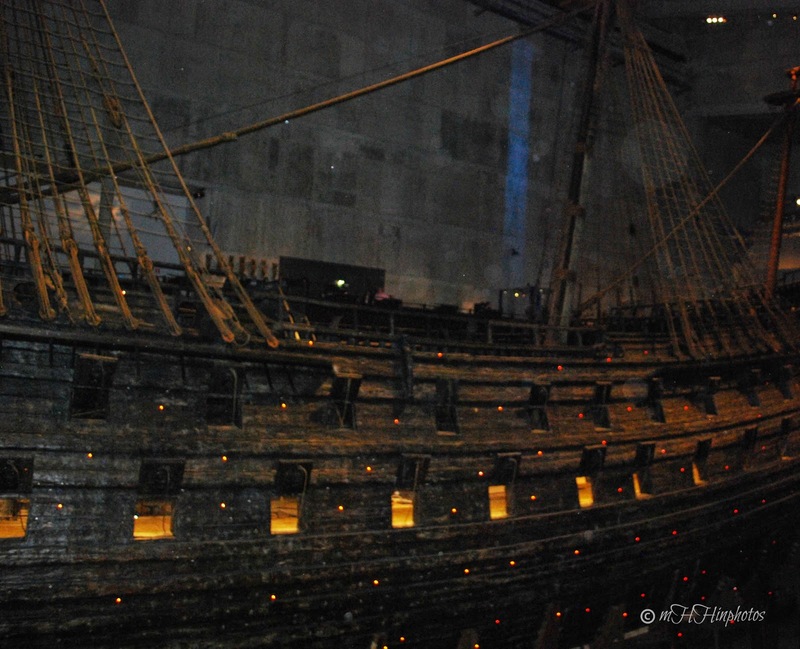 There are two levels from which you can examine the ship, and that doesn't take you to the very top or the very bottom of the Vasa. 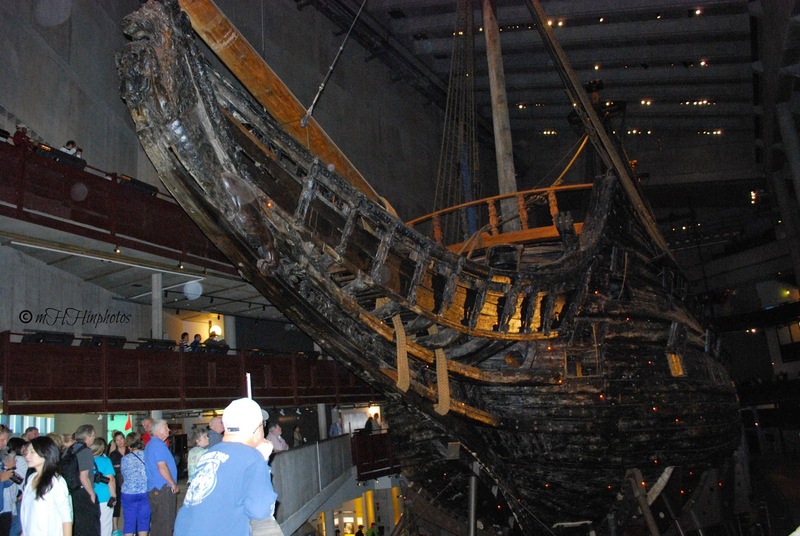 When you view the ship in person, it is amazingly tall and looks extremely top heavy. The work that was put into the ship, the time, the money, yet it is understandable why is sunk. It really is a shame someone didn't have the for site to see what would happen according to the size and shape they built this thing. Can you see how mammoth it is? A side view again, but here you see the lights lit inside. We were able to view inside a little through the windows and from the back end. It looked very large inside. 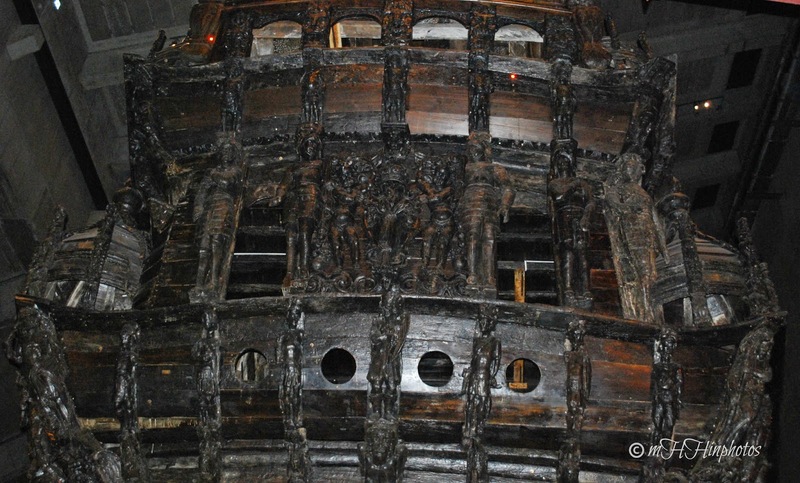 A bit of the back of the Vasa. 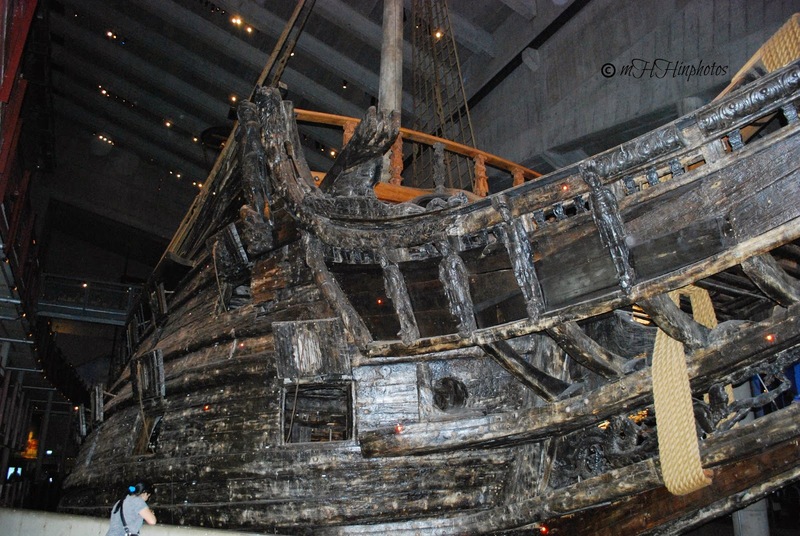 I will share a few more photos from the Vasa Museum in my next post which you should see within a week or so.